I like candy, but I rarely eat it. I think it is because my dad was such a cheapass when I was growing up and would never give me money for candy and slurpees at the 7-11 around the corner, that I never really developed a lust for candy. Don’t get me wrong, I can put away some candy if I’m drinking, or if it’s just laying around, but I am not one of those people who has a container of candy stashed away for private face stuffing. I do have a weakness for M&M’s. If they are around, I will pick at them nonstop. And recently, like with Hershey Kisses, they have been introducing new flavors (ie: Peanut Butter and Coconut, which is odd but really good, especially right out of the fridge). So after seeing the ads for the Pretzel M&M’s, I picked up a bag at my local Wawa. 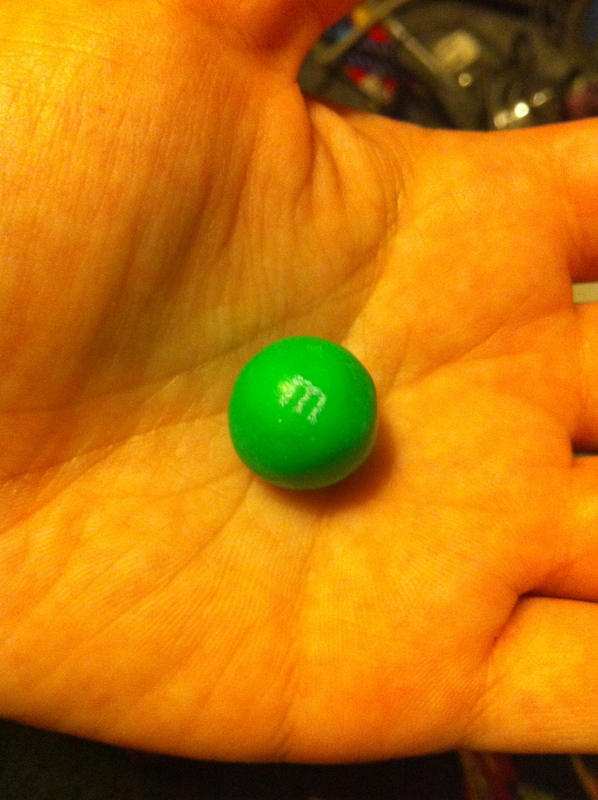 The M&M’s themselves are a little bit bigger then Peanut M&M’s. 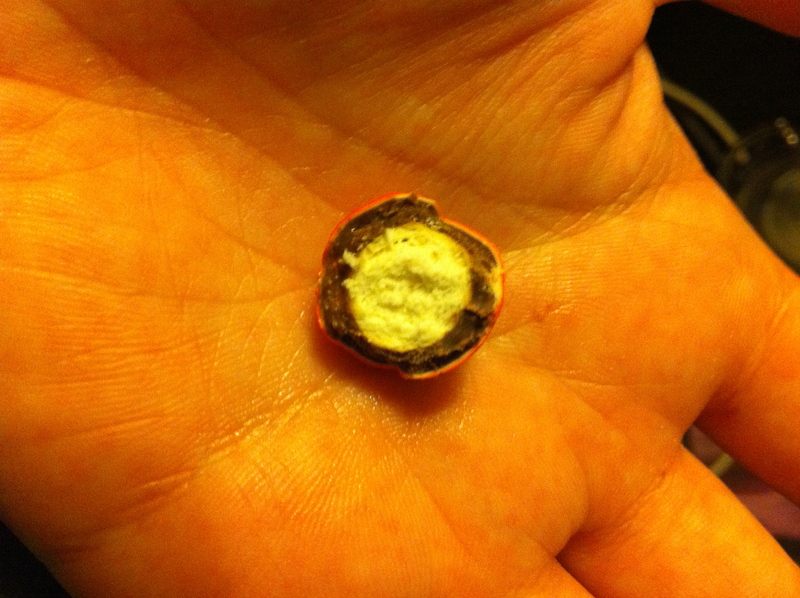 The inside has a pretzel ball surrounded by chocolate and then the candy shell. Nothing really very exciting. Honestly, I didn’t particularly care for the pretzel, which seemed kind of tasteless and sort of stale-like, but I realized what the problem really was: if you have ever eaten a chocolate covered pretzel, the mix of the salt from the pretzel an the chocolate makes a mind melting mix in your mouth, making you immediately stab anyone who comes close to your precious bag of chocolate covered pretzels…wait, is that just me? Ok, well, the sweet and salty on your tongue is awesome. And that, my friends, is what is missing in this: not enough, if any, salt. I even dissected one of them and could barely detect any salt on the pretzel. On the bag they even say “crunchy. salty. sweet.”. I have a little nitpick too: “150 calories and 30% less fat then other chocolate candy”. Guess what? Calories and Fat aren’t the problem with candy, it’s sugar! Talk about some bait and switch. So, do I like these pretzel M&M’s? Sadly, not really. 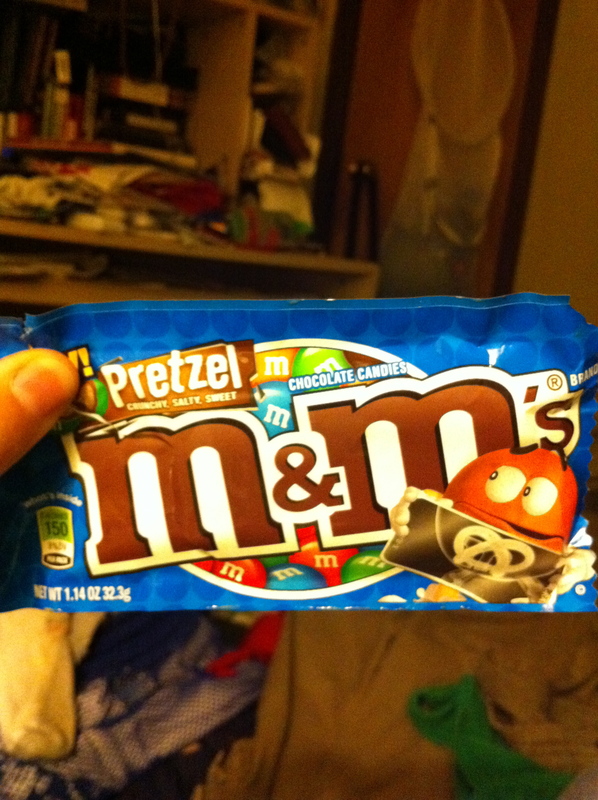 Between the kinda weird and stale pretzel and the utter lacking in salt, I think these M&M’s are kind of a miss. Maybe they should take a page from Breyers and team up with a pretzel company like Hanover or something and leave the pretzel making to the professionals. I am hoping maybe they adjust thier recipe or maybe I got a bum bag (but I doubt it, Mars is big on quality control). I might try them at some other time but as for now, I’m gonna take a pass. And maybe do some situps! Posted on September 8, 2010, in junk food and tagged candy, mars m&m, pretzel and chocolate, pretzel m&m's. Bookmark the permalink. 2 Comments. I love the plain and the dark but the pretzel m&ms did nothing for me either.